As an upgrade to the popular Muratec MFX-1300, the Muratec MFX-1700 improves on existing hardware with better performance and faster print speeds. The unit is, at heart, a digital copy machine and printer, but Muratec has also included faxing and scanning abilities. The unit features a small range of expandability options that include a PC suite that allows it to become a network printer. As a copy machine, the Muratec MFX-1700 excels, with a variety of user controlled features such as negative copying along with positive. With negative copying, massive amounts of ink can be saved by inverting an image. Zooming is made possible in increments of 1% and predetermined zoom amounts are also made available for quick resizing. Maximum and minimum enlagement parameters are good, with a range from 50% all the way up to 200%. Program Ahead options allow users to assign a preset command and access it instantly for rapid control over frequently needed templates. An automatic document feeder is a great tool for copying or scanning multiple pages mechanically, and the Muratec MFX-1700's can hold a stack of paper up to 50 sheets thick. Paper handling is fairly good for this type of device, though print speed is lacking, the unit can hold a total of 550 sheets of paper at a time. This is partially made possible by the device's 50 sheet bypass tray that can help when buyers need to load special paper but do not wish to unload standard supplies. Though print resolution is low, the actual quality of the print is good, considering, due to Muratec's excellent copy technology. 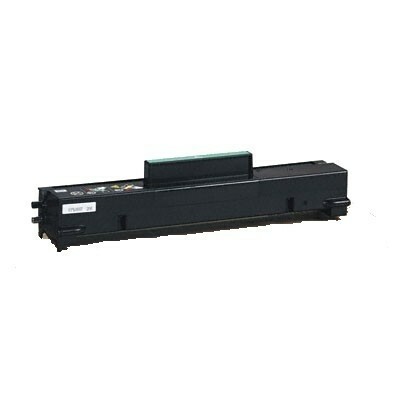 Convenient expansion options such as an Ethernet card, along with other connectivity features, allow for maximum versatility of the product. OfficeBridge Online is included with the package to make setup easy. 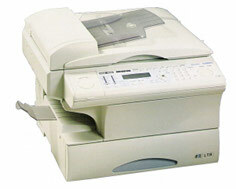 Faxing has been improved over the older Muratec MFX-1300 model, which carried only a 14.4 Kpbs modem. 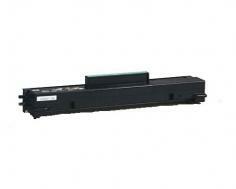 The Muratec MFX-1700 has a modem speed of 33.6 Kpbs and can transmit at a rate of around 3 seconds per page. Broadcasting abilities are included to up to 230 locations and the built in memory, though shared, can store up to 650 pages worth of data. Unfortunately, the Muratec MFX-1700 comes complete with not only shared memory, but very little of it as well. With only 8 MBs standard, the unit will not function well when dealing with complex imagery. The memory can be upgraded, but only to 16 MBs total. Copy and print times are slow, maxing out at only 17 pages per minute. Print time is, incidentally, even slower at only 15 pages per minute with a realistic average of around 11 pages per minute. Review it: "Muratec MFX-1700 "
The drum unit and toner cartridge have a very unique design that is almost exclusive to Muratec. 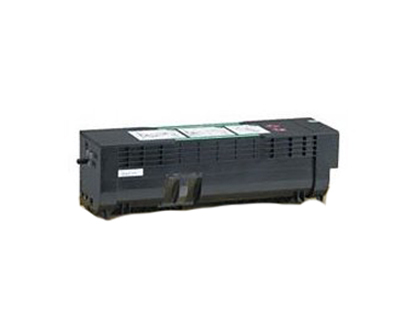 The toner cartridge and drum unit, though separate, have the same page yield. This makes replacements easy and convenient, allowing users to swap out both 16,000 page units at the same time for minimal user downtime.